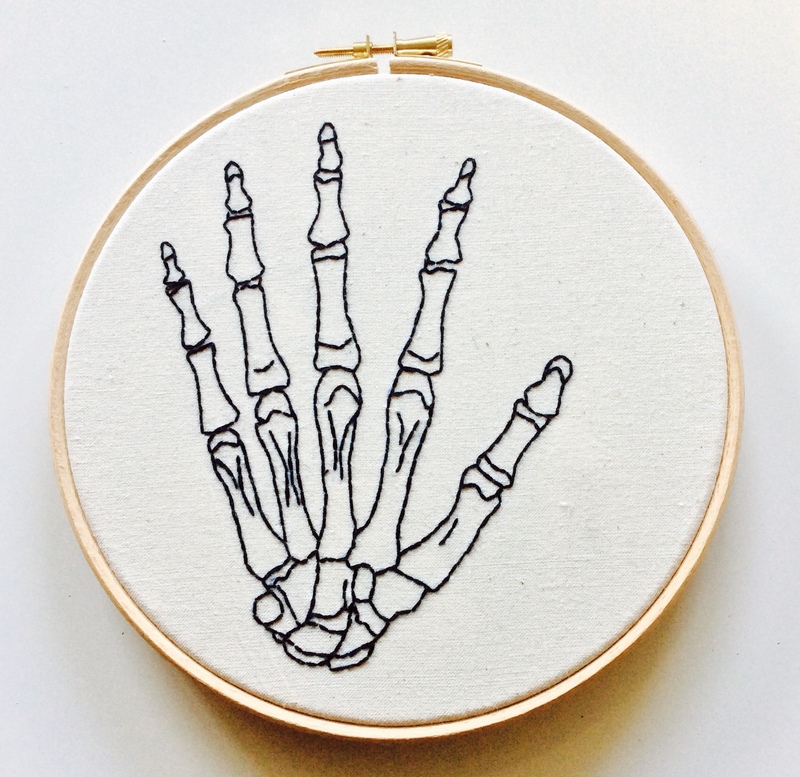 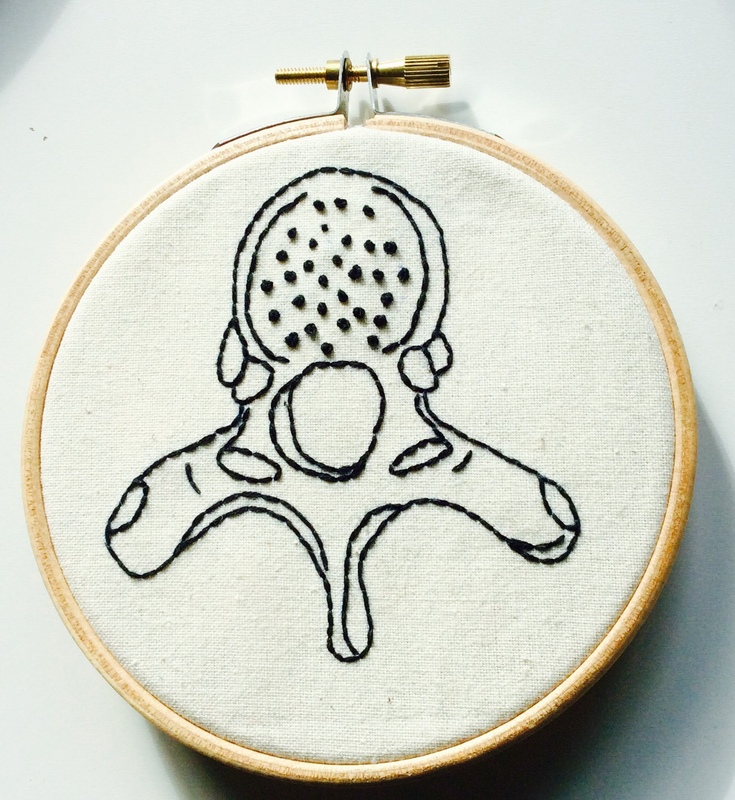 New embroidery kits to come: BONES! 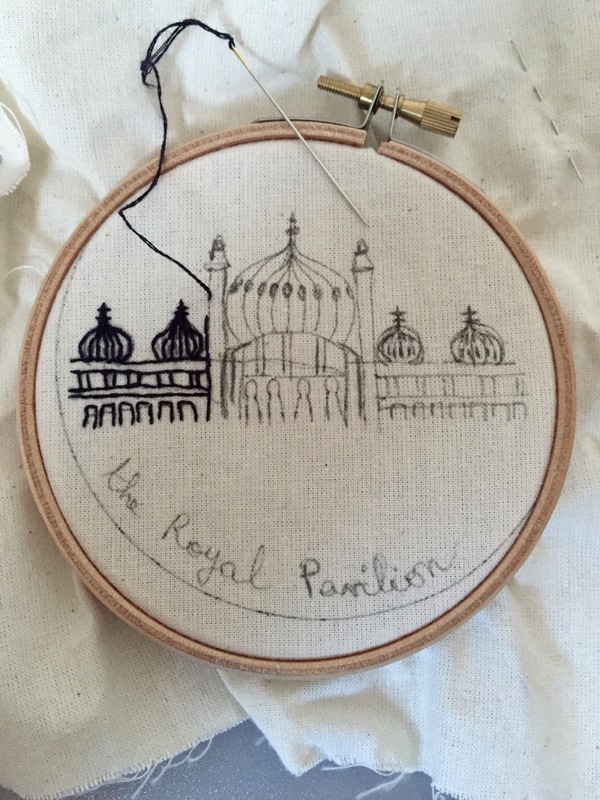 Working on some new designs to embroider for my Etsy shop….. 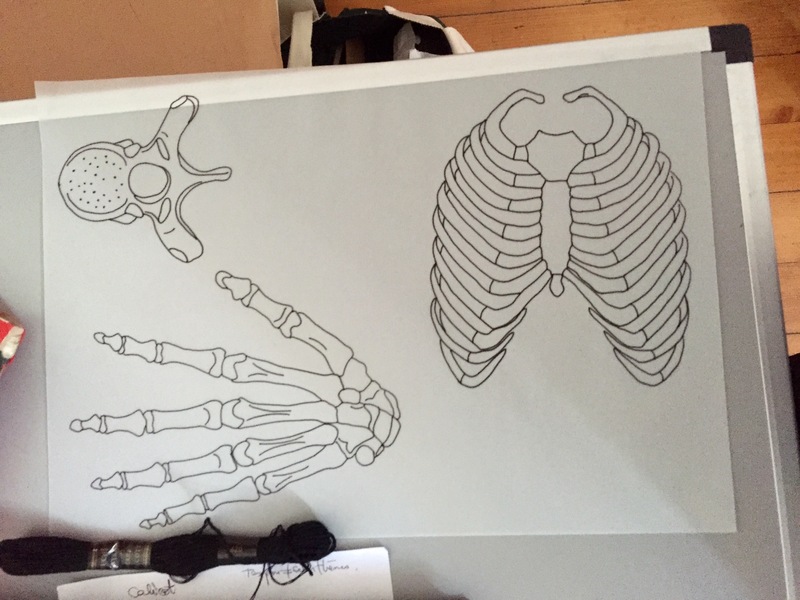 These kits are easy and suitable for total beginners! 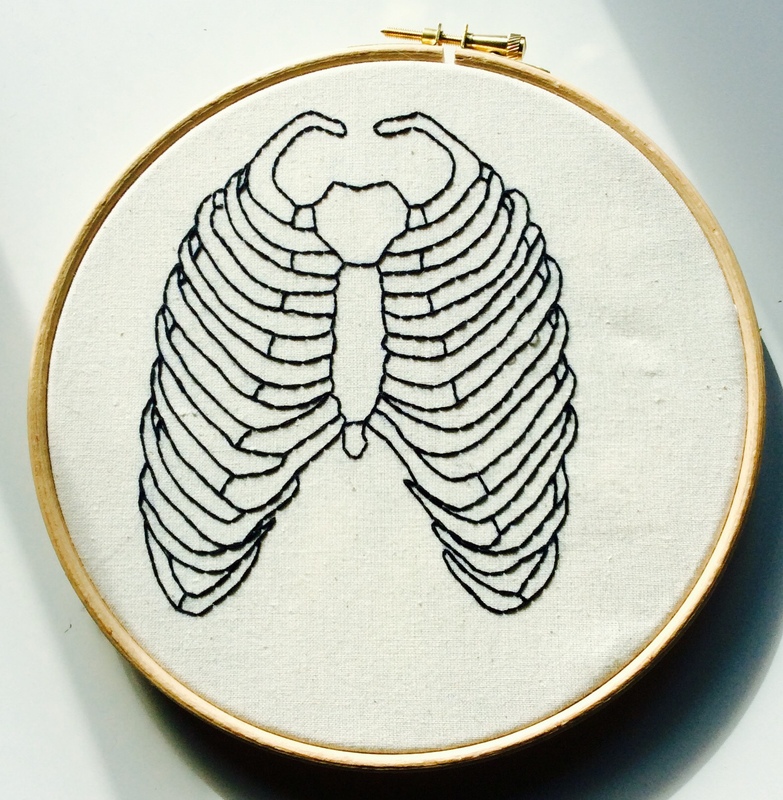 And I promiss : they ll look good in ur livin rooooooommmm! 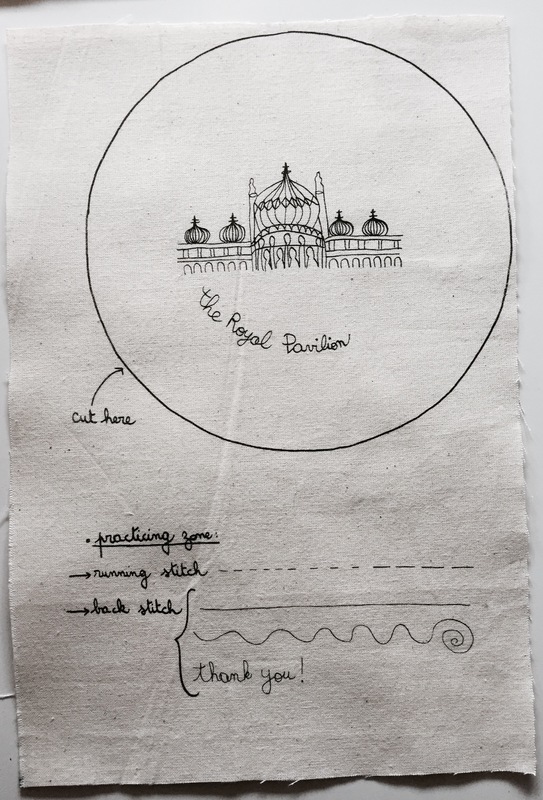 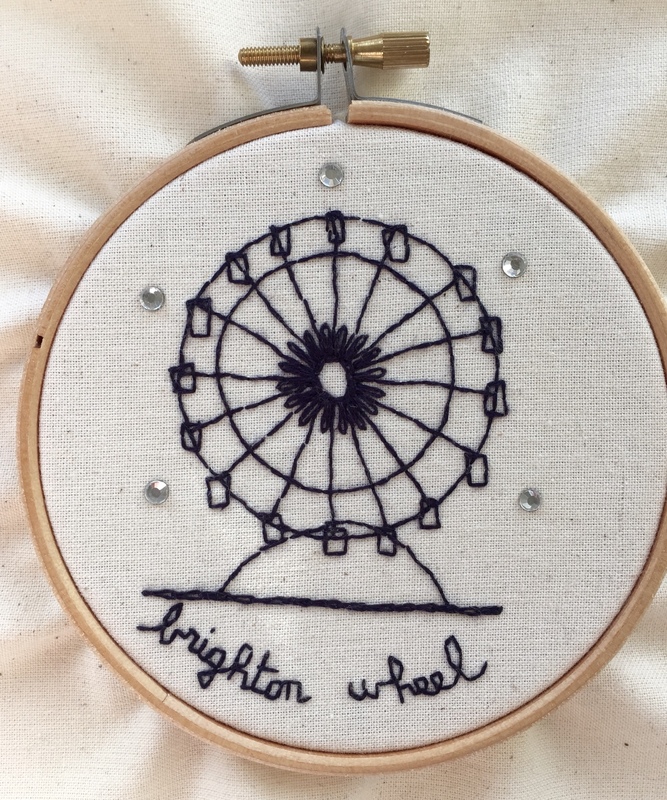 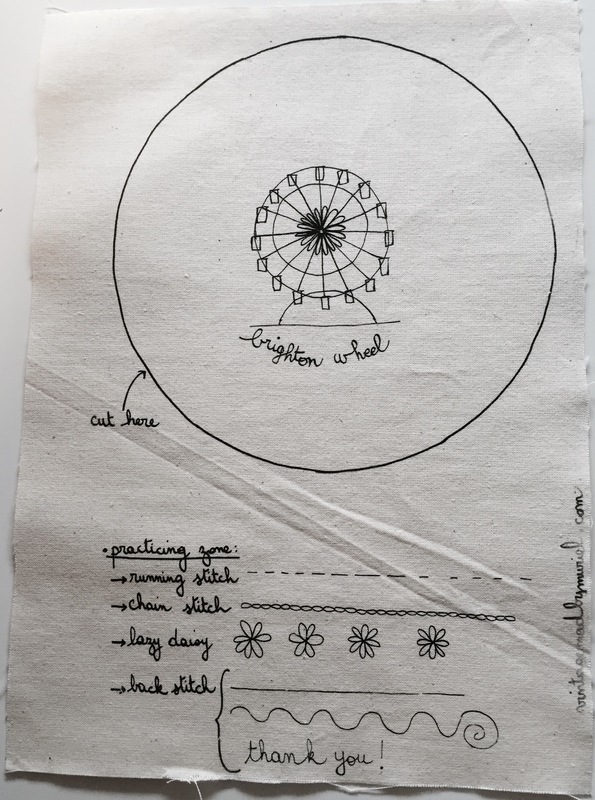 Embroidery kits for beginners, theme: BRIGHTON! 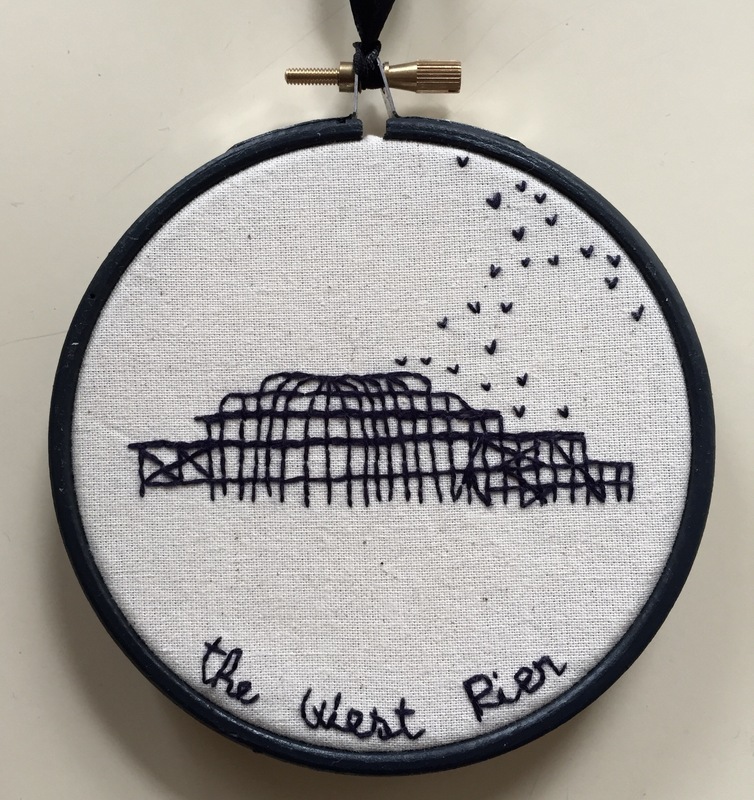 I am very happy to introduce my first line of embroidery kits; on sale in my ETSY shop. 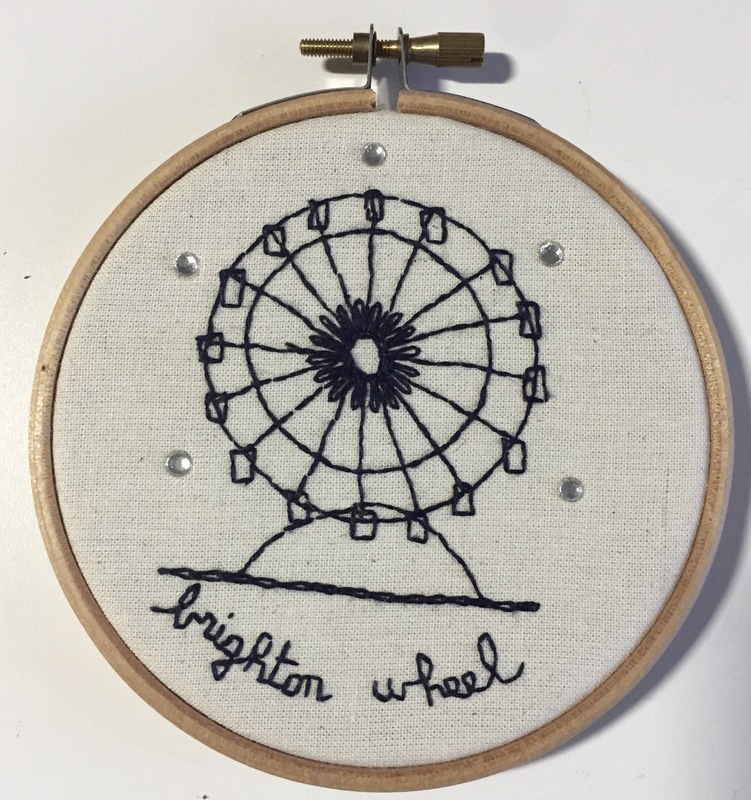 These kits are suitable for beginners and were designed after the beautiful city of Brighton in the UK. 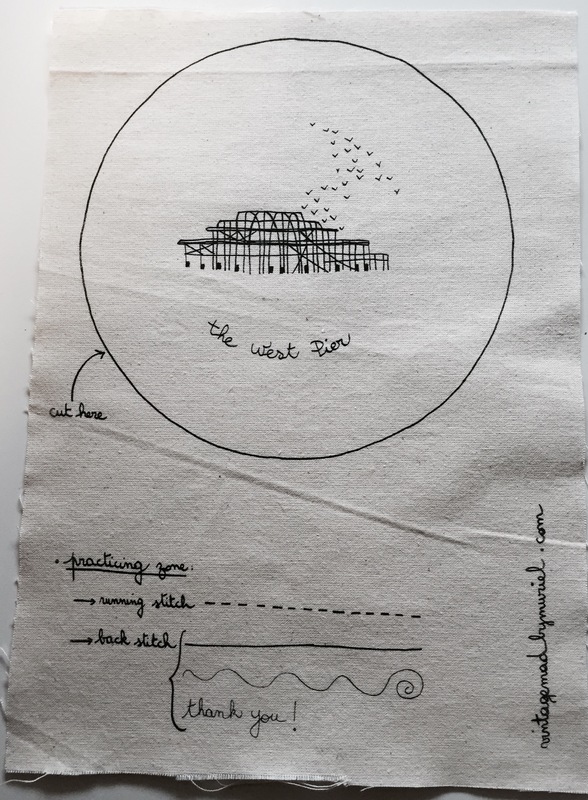 The kits arrive with everything you ll need: a needle, embroidery thread, a 4 inches embroidery hoop and the printed fabric. 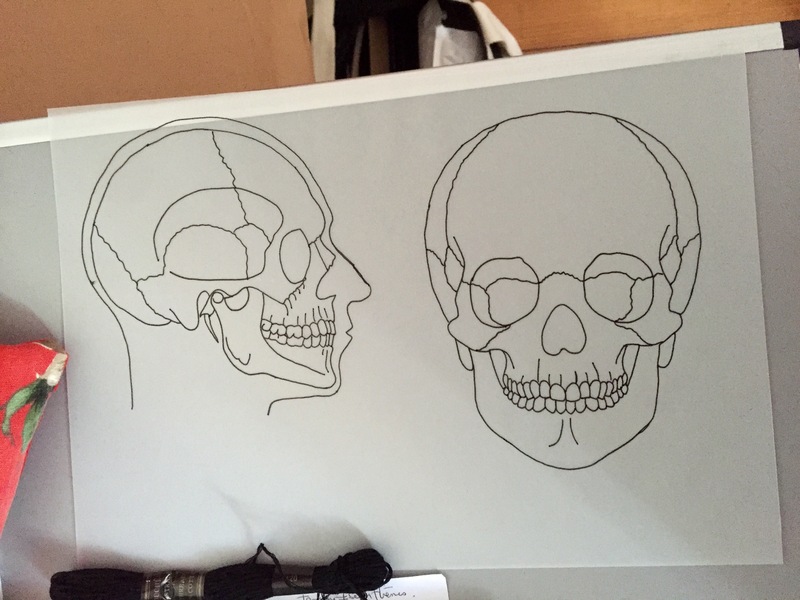 New lines and design are coming soon…. 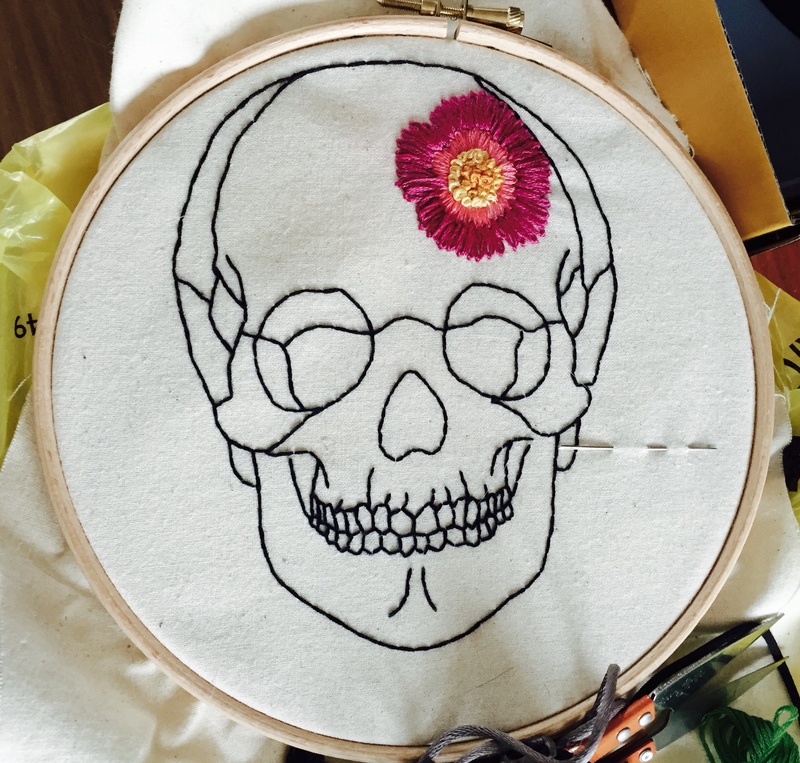 Here is the first kit of my new embroidery kits line, it is for sale on Etsy and suitable for the very beginners…..